The AFC Championship came down to one team getting to put its Hall of Fame QB on the field, rather than its reeling defense. It’s time for the annual update: yep, the big NFL game that ended with a team winning the coin toss and promptly scoring one touchdown would’ve been improved if the star QB on the team that didn’t win the coin toss had also gotten a shot at the ball. Games should be decided by teams, not units. And having two offense-heavy teams means the first team with the ball has an even bigger advantage than usual. 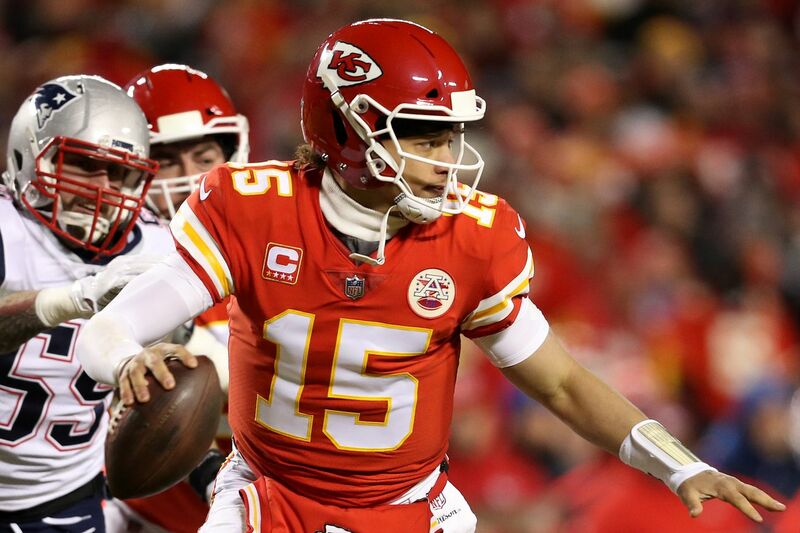 Per college overtime rules, Patrick Mahomes’ Chiefs would’ve had a chance to equalize or top the Patriots’ initial score, which would’ve meant a game between two teams would’ve been decided by both full teams, rather than one offense lucking into a favorable matchup by winning the toss. Tweak the rules however you like beyond that — maybe you’d choose to scoot NFL offenses back to the other 25-yard line, which would be totally up to you — but that’s the central contention. Why shouldn’t the Patriots have to put their own defense, which played well but was giving up more and more big plays as regulation wound down, on the field in OT as well? Kansas City’s defense being a liability is Kansas City’s fault, but the point is simple: New England got to send out its No. 5 in DVOA offense, rather than its No. 16 defense. If KC had won the coin toss, then the Patriots would’ve been at an unfair disadvantage against an offense that’d scored four times in the fourth quarter and had plenty of gas in the tank. In any OT format, the coin toss will skew the odds in favor of one team, but in an NFL OT with two good offenses and two mediocre defenses, it’ll skew it even more. Using the college system would be a little fairer, and it’d be a lot more satisfying for all participants, including players and fans. The team that wins the coin toss wins about 55 percent of the NFL games decided in overtime. The team that gets the ball second in college’s system has nearly the same odds, because there will be some advantage for one team no matter what you do. The big difference is that in the college system, the offense that doesn’t start with the edge gets to do something about it. CFB OT helps ensure the decisive period resembles the rest of the game’s state. The Patriots beat the Chiefs by adding one more score to what was already a 62-point game. Why should one score among many be so automatically consequential? If we’re talking an ugly slugfest like the Cheez-It Bowl, in which a score in OT meant producing nearly an entire 60 minutes’ worth of points, then letting one score resolve everything makes a lot of narrative sense. Finally, somebody scored (after both teams had the ball), and we can all go home! But the Patriots’ winning touchdown amounted to only a 10th of the game’s regulation points. Why should a single drive carry this much weight right after a 38-point fourth quarter flurry? After both defenses spent 15 minutes flailing around, one more flail by one of them decides it? Giving both offenses a chance wouldn’t change every overtime game, of course. None of this would apply to the Saints’ loss to the Rams in the NFC Championship on the same day. The Saints lost in overtime despite winning the coin toss, due to Drew Brees throwing an interception, meaning they would’ve lost the game no matter the OT format.